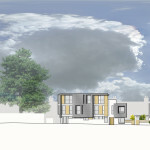 The scheme is characterized by a mix of innovative dwelling types each of which is designed internally to maximise solar gain and to provide attractive external living space. 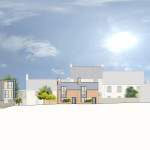 We developed designs characterised by high quality contemporary architecture which harmonises with the character of Wellington and its best local buildings. 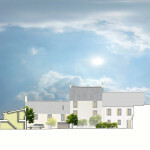 We were appointed by Haunch Lane Developments and Rayglow Securities to develop designs for the redevelopment of land in Wellington, Somerset. 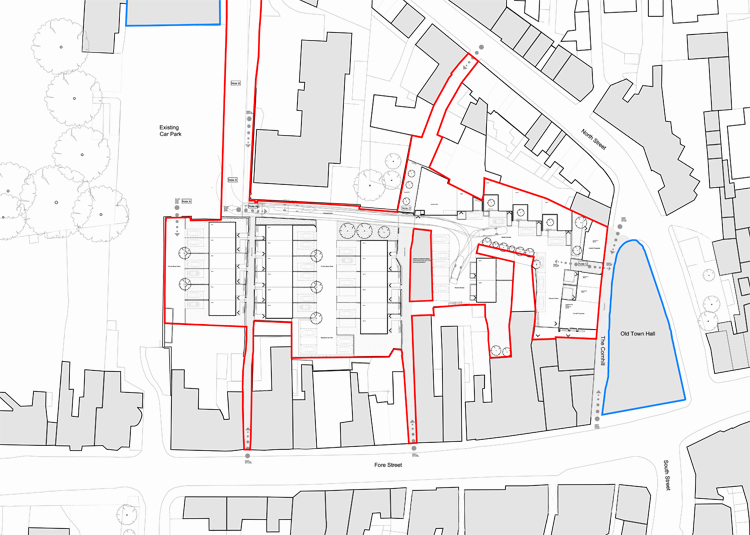 Our involvement consisted of developing a bespoke urban regeneration scheme which secured an outline planning consent for 30 dwellings on land to the rear of Fore Street and North Street, and the conversion/extension of 2-6 Cornhill to provide 4 shops and 6 apartments. 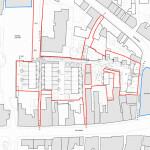 The site is located behind retail frontages on Fore Street, and residential frontages on North Street whilst the listed Cornhill that links them is mixed in character and an important local historic street. 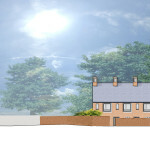 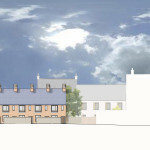 In Town Planning terms the scheme is modest in size, well-located in sustainability terms and represents a windfall housing scheme. 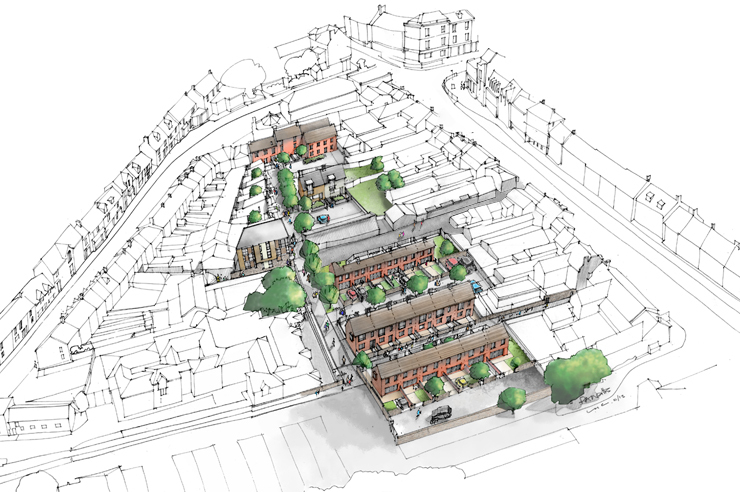 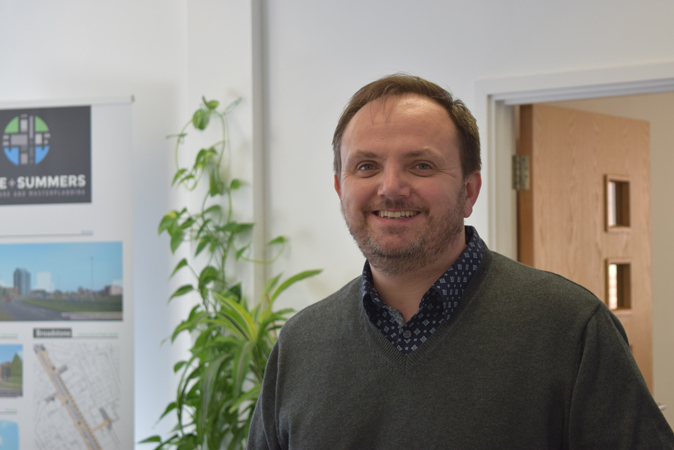 Our work was focused on the creation of a new high quality, safe and secure town centre residential /mixed-use environment, which can act as an exemplar for future schemes in and around Wellington. 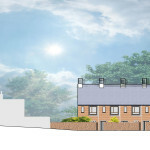 In addition we looked at opening up the hidden, backland site with new pedestrian and vehicular accessways in third party or public ownership to increase the connections into the site. 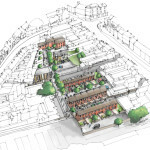 Our solution to the site was centred around a shared-surface public realm approach where priority is given to pedestrians and cyclists over vehicles. 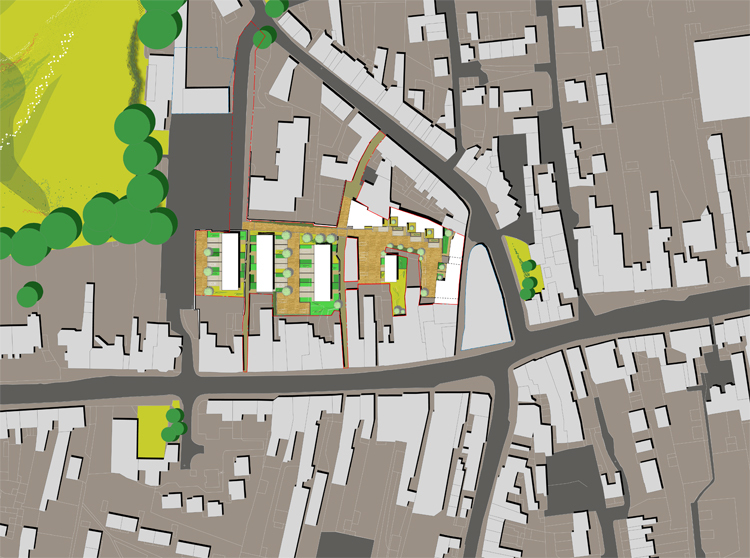 This included clearly demarcated public and private areas, and good street frontage urban design.